An unusual name for a pattern, but a beautiful skirt. This skirt is a free pattern on Knitty and though it uses wool I am of course making it with acrylic. James C Brett Marble Chunky to be exact. Shade MC8, which is a combination of blues and purple. 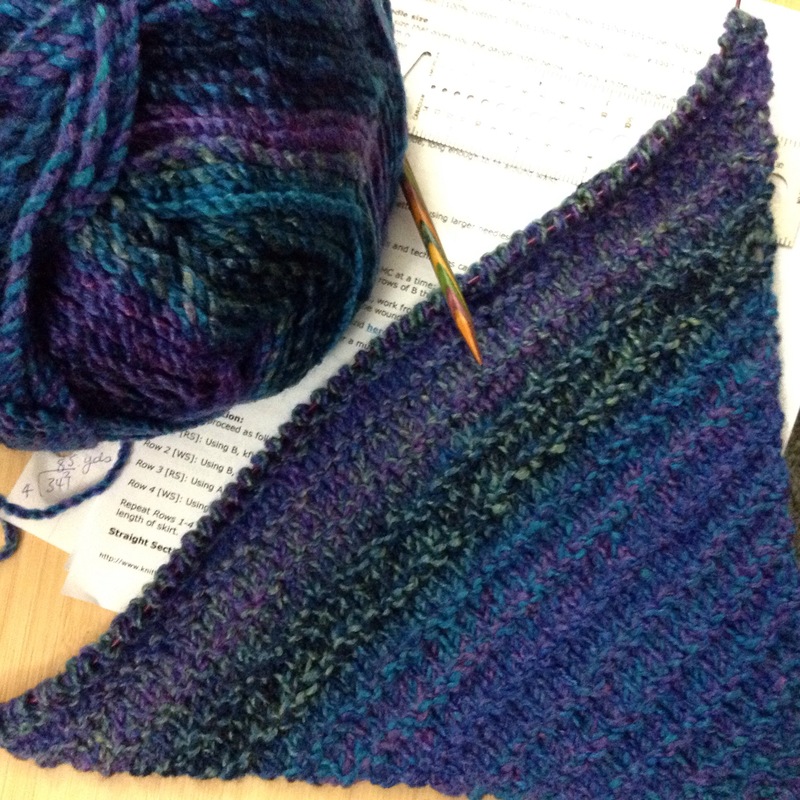 The pattern is written for Noro, and uses two balls of the same colourway alternated every two rows. I’m just using the Marble as it comes off the skein. I’ve never knitted a skirt before but have been wanting to do so for some time. Hopefully it’ll be done quickly so I can wear it to work. Yup, work. 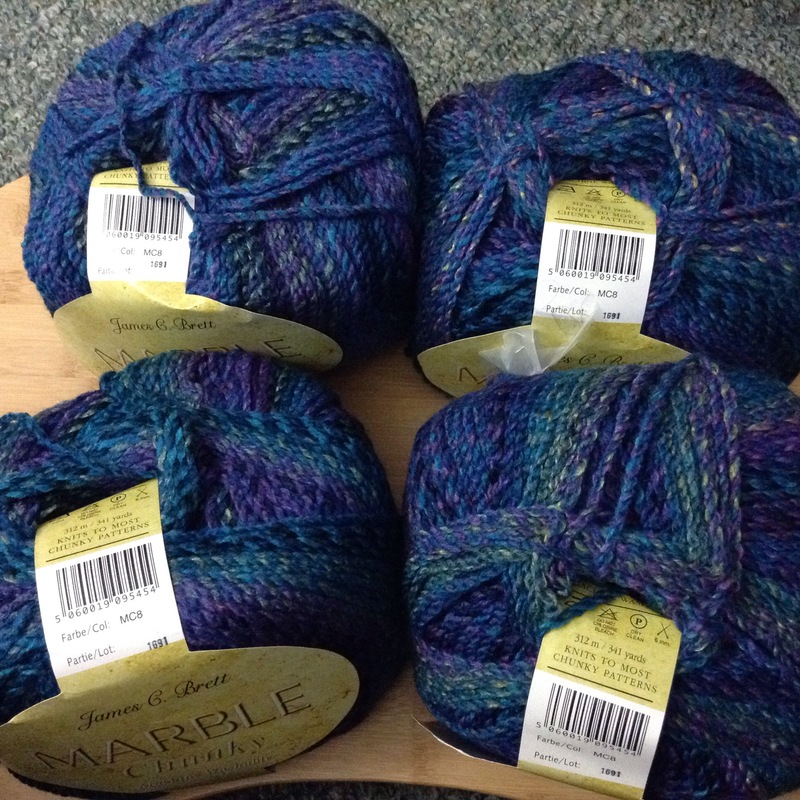 I now have a paid part-time job at a fabric store that also sells a small amount of yarn. Cool, huh!